With my daughter being in kindergarten, this was my first official year to come up with teacher gifts for Christmas. She has a kindergarten teacher and an assistant teacher who are simply amazing! They have made her start to school a very positive experience and I love them both so much! I thought it would be fun to sew something for them. Handmade gifts are the best- in my book, at least. I love them because they are personalized and heartfelt, so the recipient of the gift can tell that you cared enough to put time and effort into making something just for them. I've been collecting "school" themed fabric over the past few years- just for the sole purpose of projects like this for teachers. It was fun to finally cut into my stash for the first time. I decided to make a Jane Market Bag for each teacher. It was my first time using the pattern and I really liked it. I would definitely recommend it! 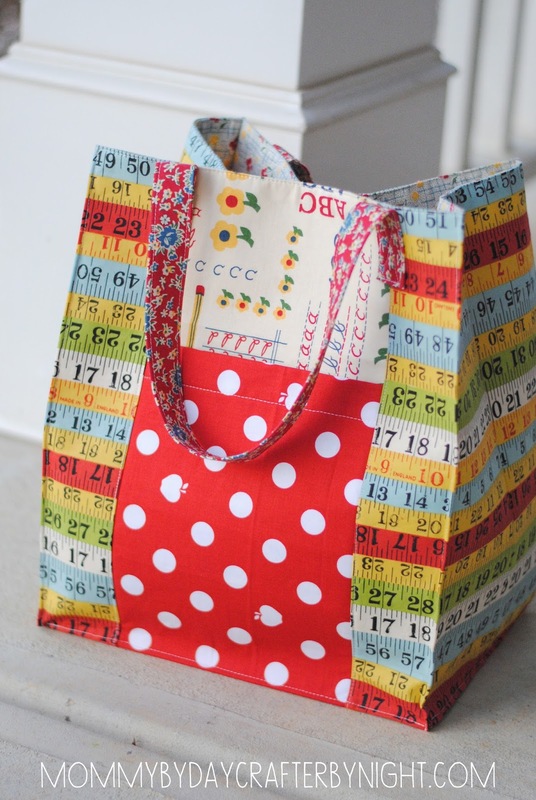 The tote is roughly the size of a reusable shopping bag, so it is not too big- but not too small. 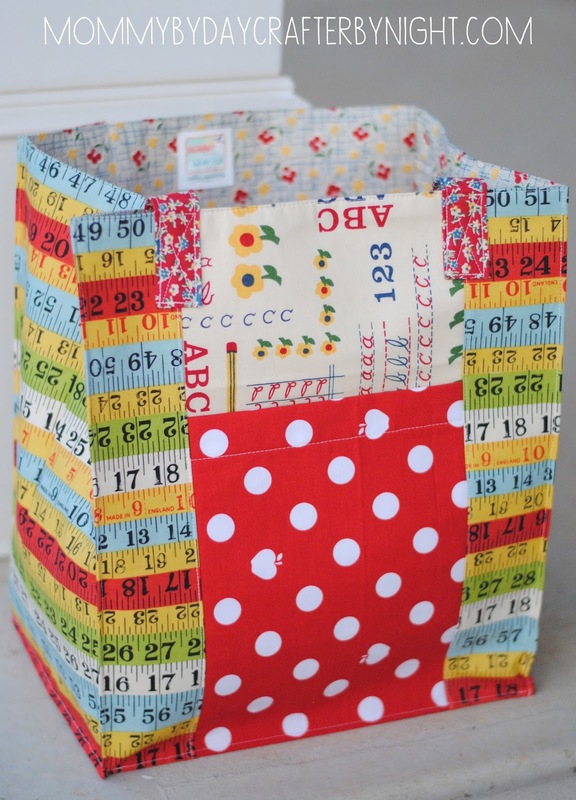 The thing I love most about this tote are the pin tucks along the sides that give the bag shape. After reading some feedback on the pattern, I followed one persons advise and used a light to mid weight fusible interfacing for my exterior fabric. 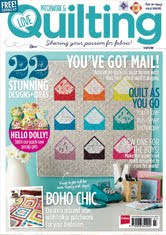 I'm so glad that I did that because my fabric is quilting cotton weight so it would have been pretty flimsy without it. The only other modification that I did was added pin tucks along all 4 bottom edges. With the way the pattern works, the pocket panels goes all the way to the bottom seam (which is positioned in the middle of the bottom of the bag) so I wanted it to cut off at where the bottom of the bag "should be"- that way the odds and ends put into the pocket don't end up slipping too far down to create a lumpy base- (this will probably make more sense if you have made or own the pattern). I also love the stability and shape that pin tucking the base of the bag created. The bag can totally stand on it's own. I opted to not add the optional cardboard base it was a gift to someone- I didn't want them to wonder why I put the cardboard in there and knew my kindergartener likely couldn't explain it's purpose when giving it to them. If I were making this pattern for myself, I would probably add cardboard to the bottom- possibly even make a fabric sleeve to put the cardboard in to make it look more finished. Then I could take the cardboard/fabric sleeve out for washing. I really love the way they turned out, but more importantly, my daughter was really proud to give the bags to her teachers this morning. I let her choose which bag to give each teacher and then we put them into gift bags with my daughters favorite Christmas candy and a handmade Christmas card. Well, can you believe that Christmas is less than a week away?!? December has flown by for me! This will probably be my last post here on my blog in 2014 as I plan to spend every last minute with my family over the Winter Break- 16 days of no school for my oldest means it's party time for little sis. I can't wait to just sit and watch them play with new Christmas toys while relaxing on the couch with some EPP! 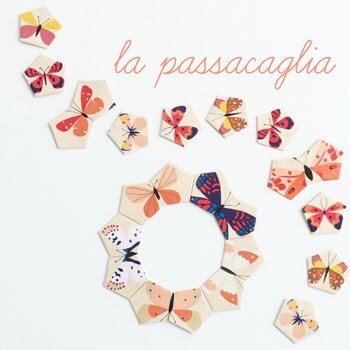 I hope to make a lot of progress on my La Passacaglia over the break! :) So... If you wanna see what I'm up to for the rest of 2014, be sure to follow over on Instagram for the behind the scenes and progress on my sewing pictures- @crafterbynight. I wish you all the Merriest of Christmases, and a wonderful New Year! 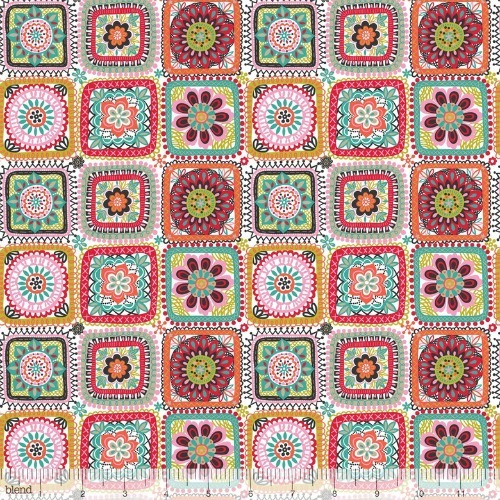 Remember when I went fabric crazy 2 years ago and bought a half yard of every AMH print in voile that I could get my hands on? It was a brief, break of insanity... But- in my defense- they were on a $6 sale! I couldn't help myself!! 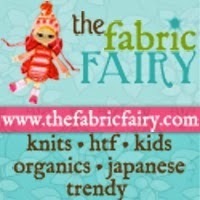 They are the softest, yummiest, amazing fabrics ever! I am obsessed! Shortly afterwards, I joined a Fabric-aholics Anonymous program. 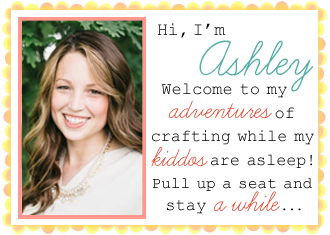 "Hi- My name is Ashley and it has been 1 day since I made a fabric purchase." That's only for people that can't control their fabric purchases. I don't have a problem... Do I? ;) Mwahahahahaha!! Ok... In all reality- it was one of the best fabric purchases I've ever made! No regrets here! 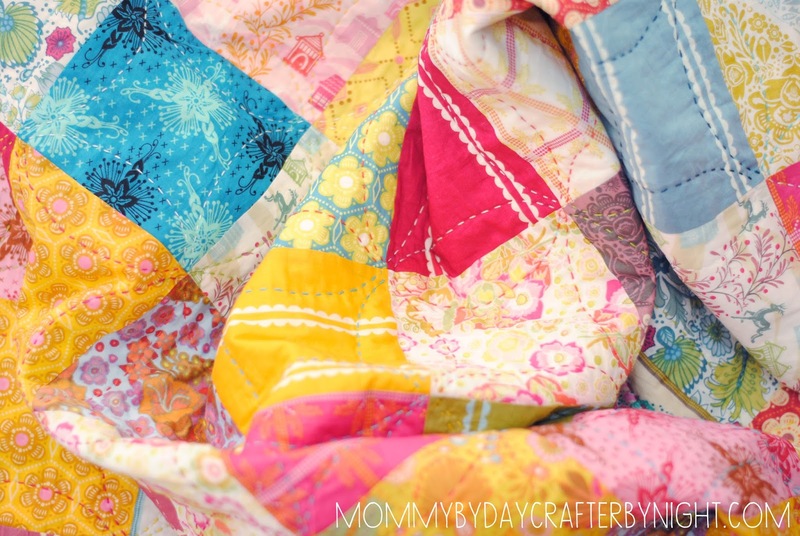 Just come snuggle this quilt, and you'll see why! 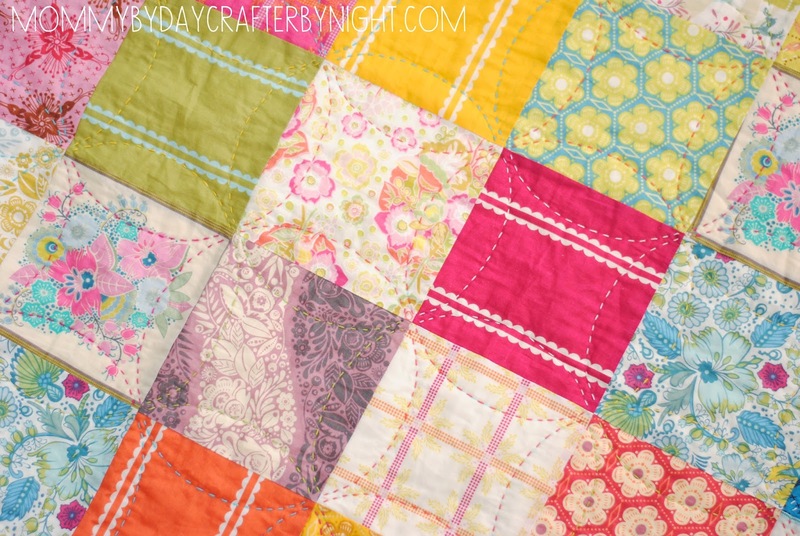 I decided to make a square patchwork quilt first. 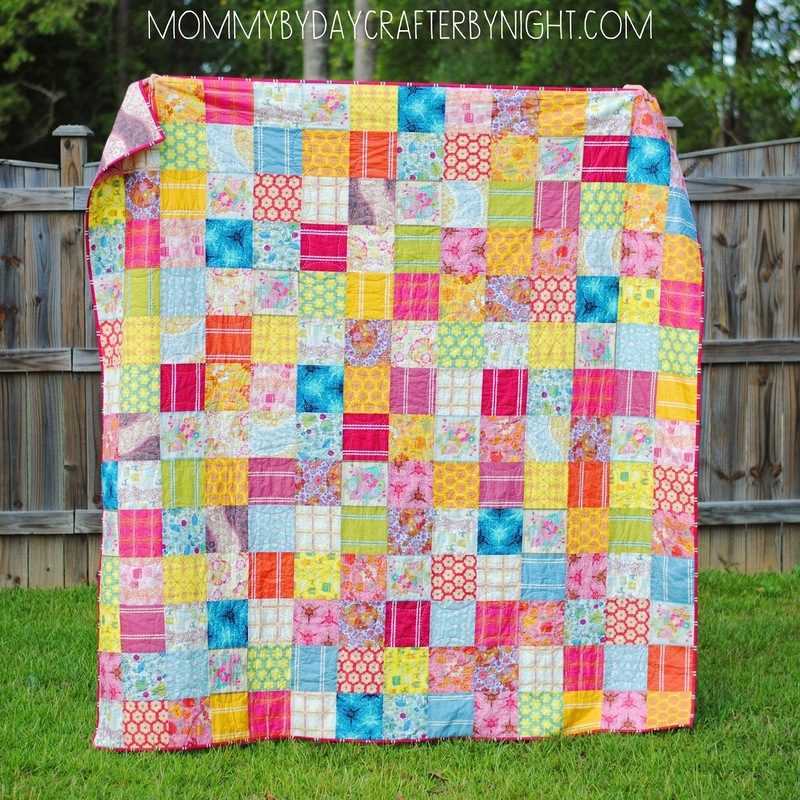 I didn't dare slice and dice those gorgeous fabrics too much! I went with a 6 inch squares to create my quilt top- 14 squares across, 14 squares down- which makes it roughly 6.5' squared. Perfect for two to snuggle on the couch with! 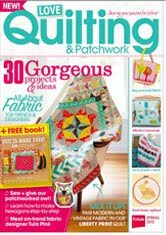 Its backed with voile and I used Soft and Warm batting, which is pretty thin, so this quilt is super lightweight and thin. I can use it year round! I worked at a tortoise pace while hand quilting it, so it took forever (over a year start to finish on this quilt- which is so unlike me! ha ha) I would just pick it up every month or so and work on it while sitting on the couch in the evenings, but it was always there in the back of my mind- that looming UFO (un-finished object) project begging me to finish it. So when our family recently moved, I unpacked this beauty and worked on it for a couple weeks straight until it was complete! Love your mini! Thanks for the chance to win :). Congrats Amy! I will be contacting you soon! 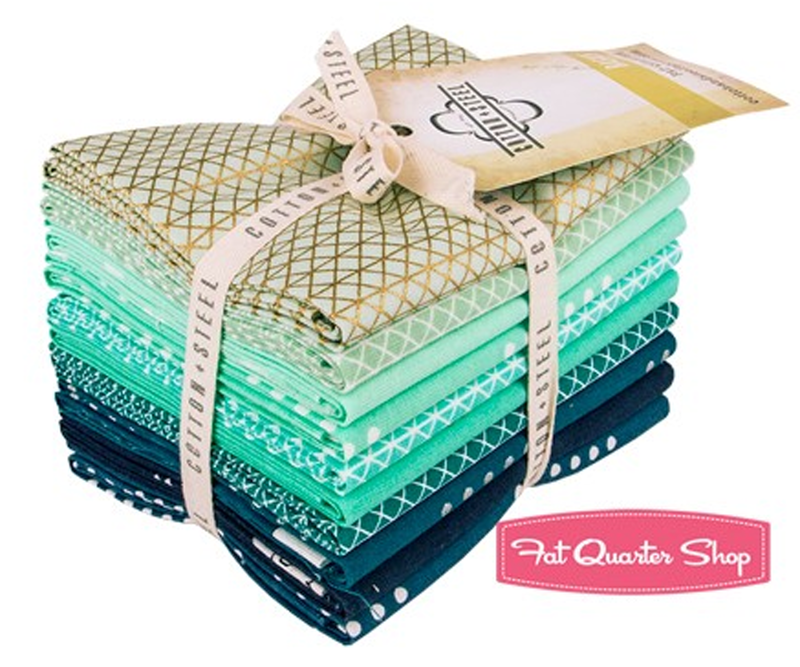 A couple months ago, I ordered a couple Cotton+Steel basics bundles from The Fat Quarter Shop when they were having a great sale. I picked up the Splash bundle which is full of gorgeous blues and the Berry Box bundle which has corals, pinks, and purples. I had just seen them online so I was hoping that the colors would be as vibrant as the pictures. When they showed up on my doorstep, they didn't disappoint! They are gorgeous! I especially love that a handful of them have metallics printed on them! So fun! 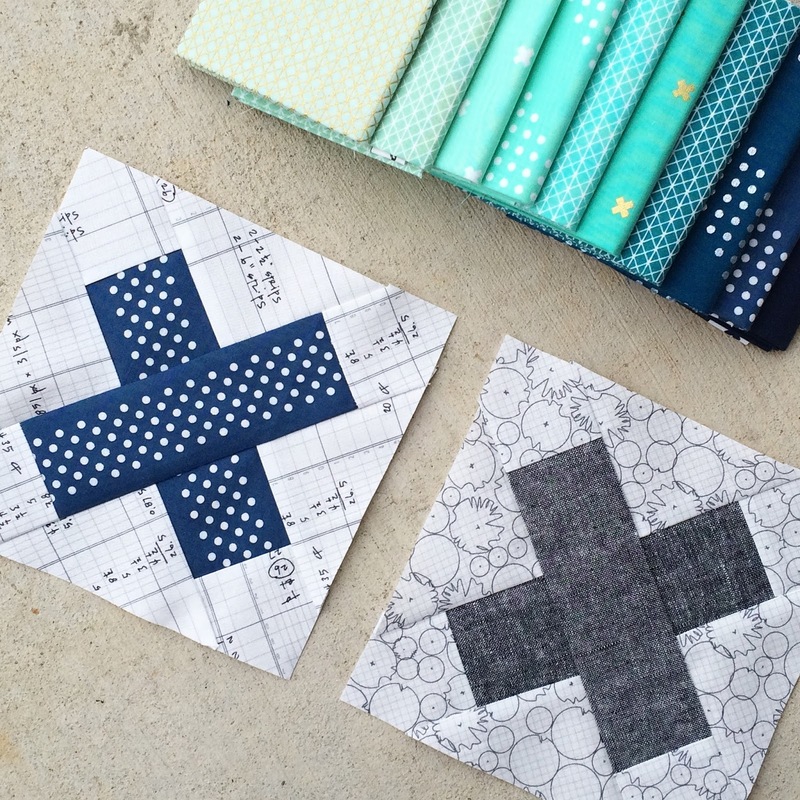 I wasn't quite sure what I was going to do with them, but I knew that they were the perfect basics to add to my stash since they pair well with a lot of the fabrics I already own. 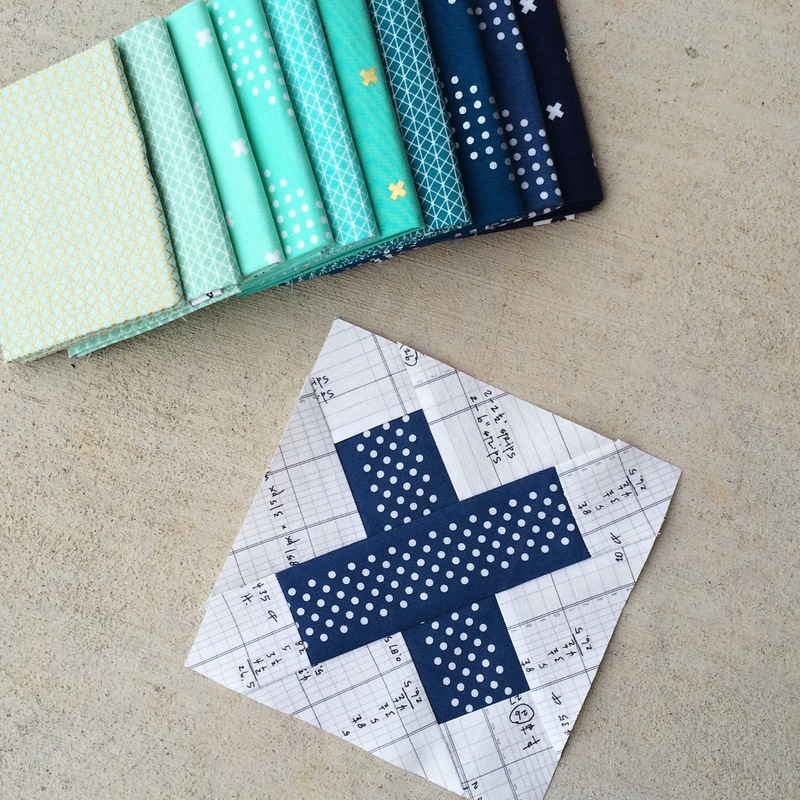 Last month, I signed up for the Schnitzel & Boo instagram mini quilt swap. I've never done a swap before so I am excited and nervous! ha ha I really hope that my partner loves what I am making her. After perusing/stalking her instagram and pinterest board, I think (hope) I am making something that will catch her eye! 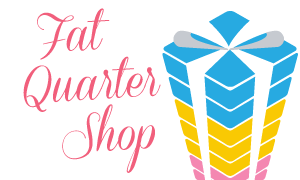 So since I love my Splash bundle so much, the Fat Quarter Shop decided it would be fun to give one of my readers a Splash bundle too! Lucky you! To enter the giveaway, just leave a comment with your name and email address so I can contact you if you win! I will choose one winner at random Friday Dec. 12, 2014 and announce it on my blog. You guys know I love a good sale and am always in search of a promo code to use when I buy fabric... 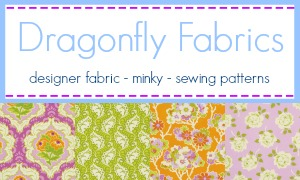 So I thought I would spread the wealth and let you know that Dragonfly Fabric is offering all of my readers 15% off your entire order right now! 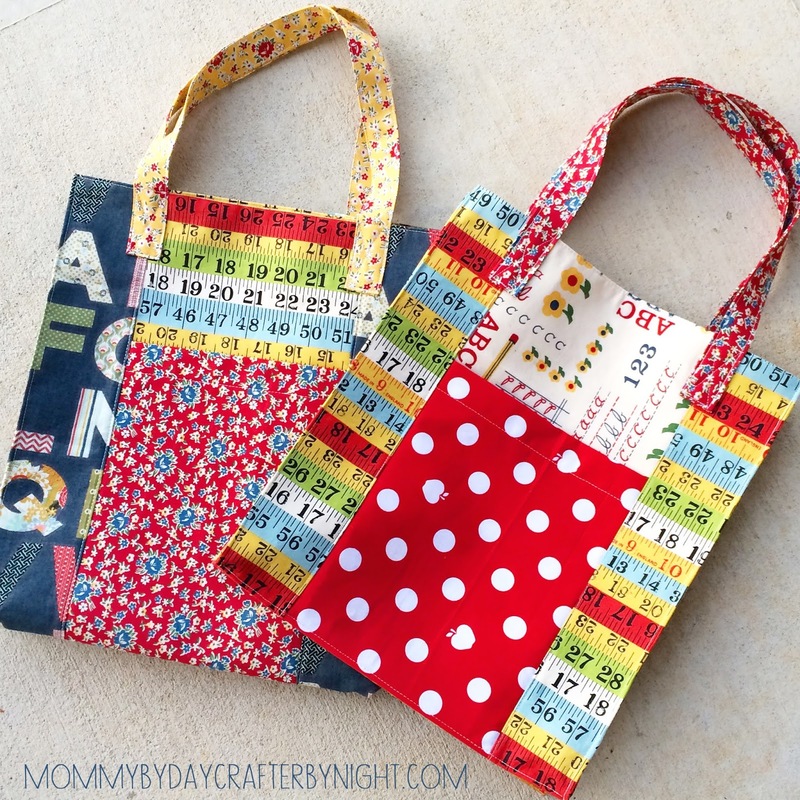 Just swing by Amy's darling shop and use the code: mommybyday15 at checkout! 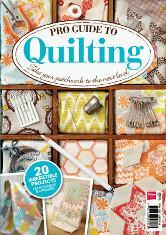 She has a bunch of amazing collections and fabrics in right now! 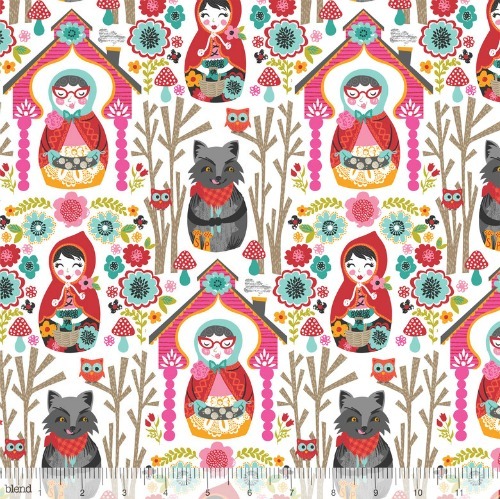 I am seriously crushing over this darling Riding Hood collection that she has right now! How darling are these grannies, riding hoods, and wolfies?! 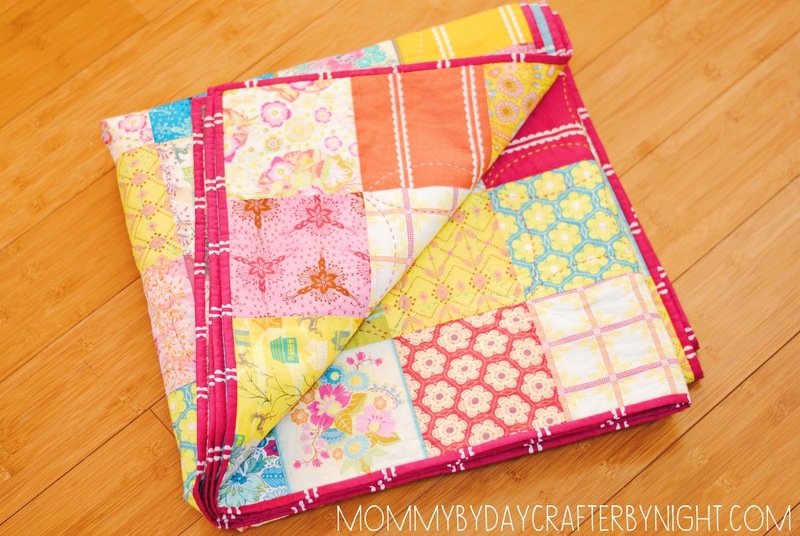 And this granny square cheater print is seriously tooo cute!! !